The C.J. Richardson Hardware & Furniture store has been a staple of the town of Marlinton for over a hundred years. 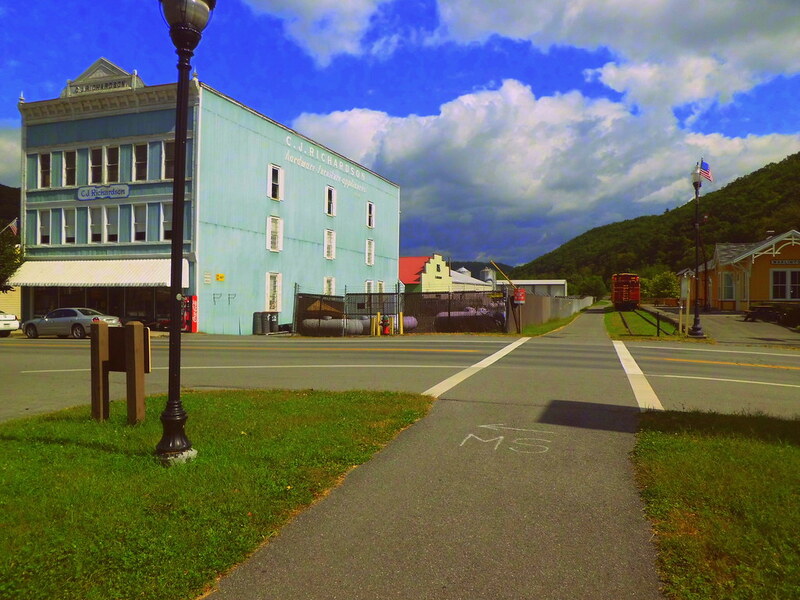 Around 1904, it moved from the west bank of the Greenbrier River to its current location in downtown Marlinton. Today C.J. Richardson’s is still considered a local treasure; walking through the door will make you feel as though you are stepping into a century of history. At a time when most old hardware stores have been long replaced by big box stores like Lowes and Home Depot, this old store is really worth visiting next time you are traveling through Pocahontas County. View of Eighth Street from the Greenbrier River Trail with C.J. Richardson’s on the left and the old train depot on the right. Photo by Dan Schultz. The story goes that around 1900, C.J. Richardson was working as a mining engineer in South America where he contracted malaria. His brother, who was working in Greenbrier County at the time, suggested that C.J. come up to the mountains of West Virginia to recuperate in the cool mountain air. C.J. moved out to Marlinton and built his first store on the west side of the Greenbrier River near the junction of U.S. Route 219 and WV Route 39 today. In 1904, C.J. decided to move locations to be closer to the new railroad line that was coming through town. Its been here ever since, right on 8th Street next to the Greenbrier River Trail and the old railroad depot. The following short documentary was made by students of West Virginia University’s journalism school, as part of the WV Uncovered project. For more on the history of Marlinton history, check out our Marlinton page!